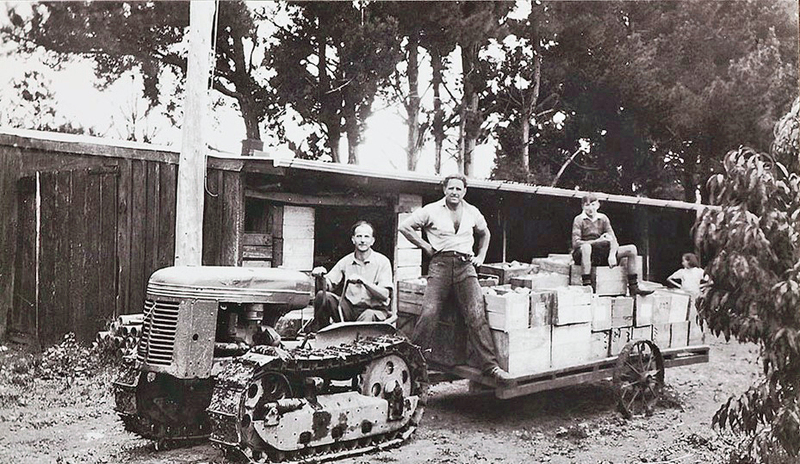 Many of the vineyards and orchards had their own trucks and transport. Joseph Balich established the Golden Sunset Vineyards in Sturges Road, Henderson in 1912 and would travel door-to-door selling his invalid port. Ref: Joseph Balich with his wife and children, Henderson, 1920s, West Auckland Research Centre, Auckland Libraries. DGHS Collection. Horticulture and viticulture played a major part in life in Oratia, Henderson Valley, Lincoln Road, Kumeu, Huapai, Taupaki and the surrounding areas. 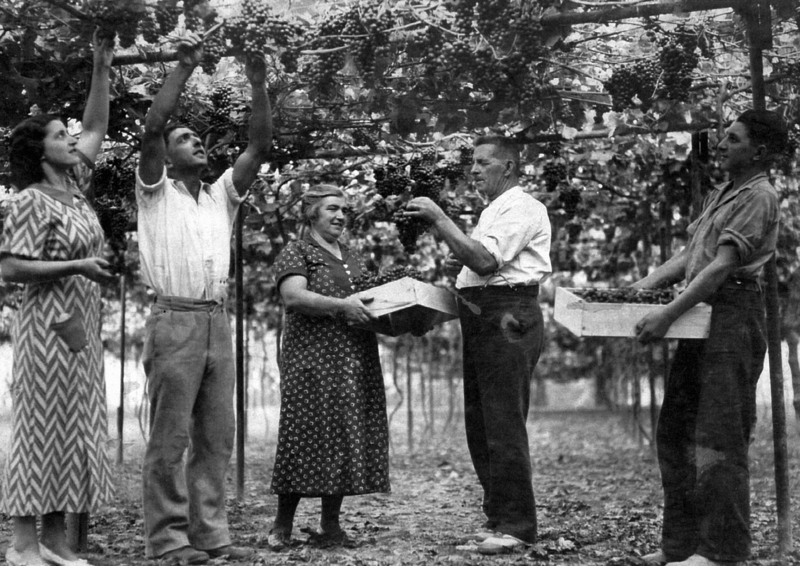 Prior to specialising in orchards and vineyards most had side lines such as market gardens to bring in additional income until they could concentrate on being either an orchard or a vineyard. 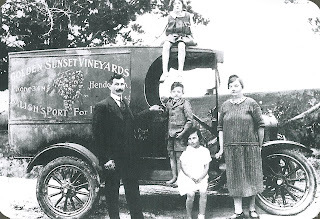 With strict licensing laws vineyards were restricted to selling a minimum of 12 bottles (two gallons) to any one person. 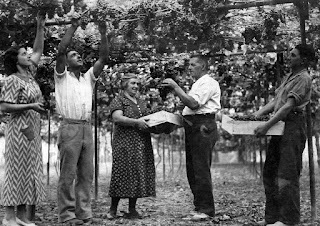 Ref: Soljan family picking grapes, Lincoln Road, Henderson, March 1935, West Auckland Research Centre, Auckland Libraries. DGHS Collection. 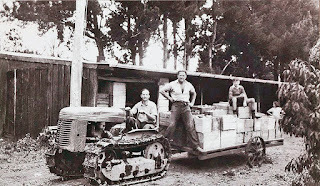 Ref: Frank Boric standing on the trailer at his orchard in Lincoln Road, Henderson, c1948, West Auckland Research Centre, Auckland Libraries. DGHS Collection. 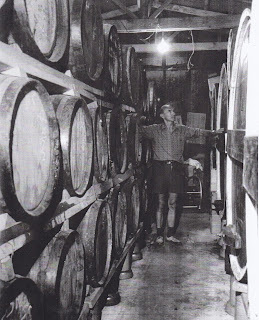 Ref: George Mazuran in his cellar of aging ports and sherries, Lincoln Road, Henderson, West Auckland Research Centre, Auckland Libraries. DGHS Collection. Sport and leisure, in the main, revolved around the two Clubs: The Yugoslav Club, and The Yugoslav Benevolent Society (Croatian Benevolent Society). 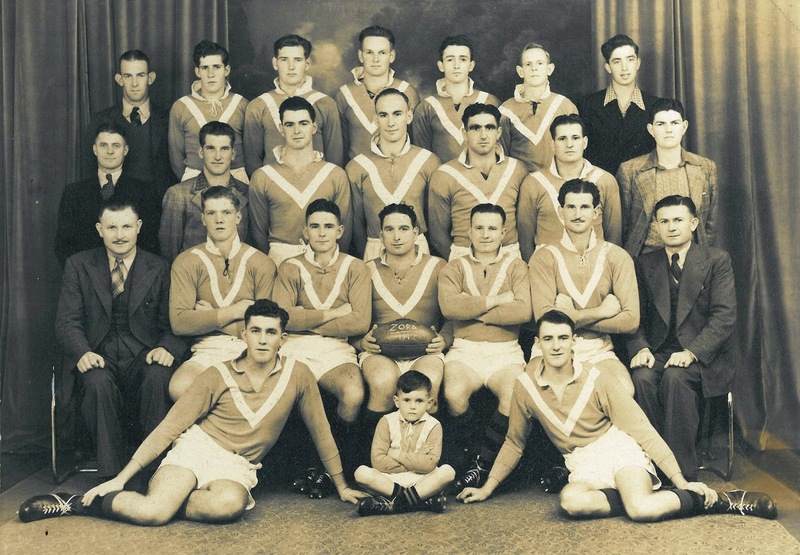 They organised dances, social gatherings, annual picnics, and sports teams such as Zora Rugby League, Zora Basketball (Ladies) and Jadran Soccer. Ref: Zora Yugoslav Rugby League Senior Division Team. Back Row: C. Marinovich, B. Kostanich, R. Posa, M, Simich, M. Devcich, N. Lake, G. Dragicevich. Third row: R. Hardgrave (Senior Coach), L. Sunde, M. Letica, T. Babich, R. Garea, G. Marelich, D. Simich. Second Row: J. Juricevich, J. Borich, I. Sumich, H. Borich (Capt. ), J. Zane, I. Sunde, M. Pivac. Front Row: T. Staub, D. Juricevich (mascot), W. Erceg. West Auckland Research Centre, Auckland Libraries. DGHS Collection. 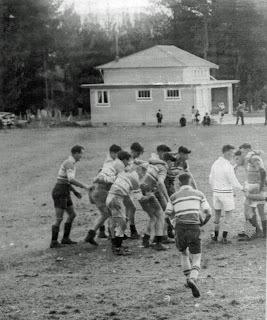 Waitemata Rugby Club had many players of Dalmatian descent, most of whom lived in the Western districts. 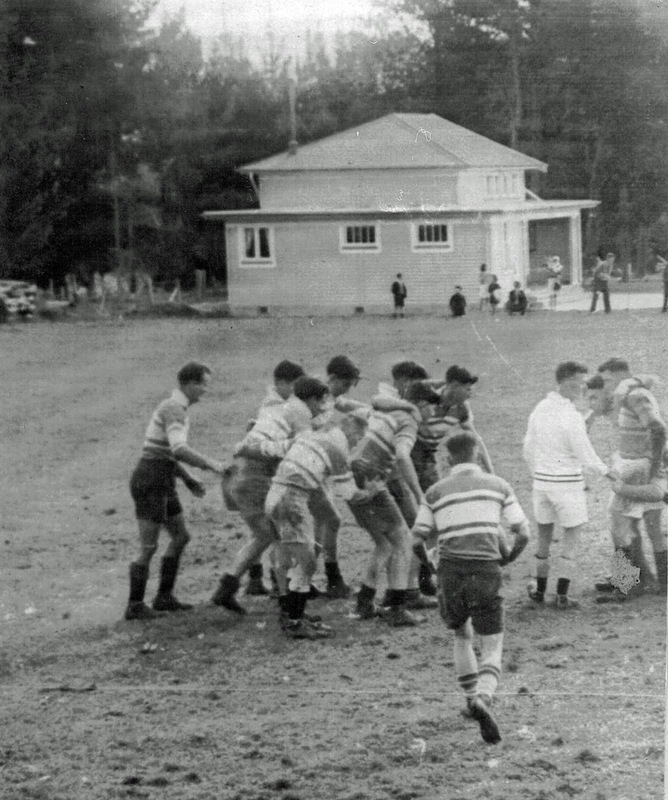 Ref: Country vs City, played at Oratia, 1945, West Auckland Research Centre, Auckland Libraries. DGHS Collection. Zora Ladies Basketball won many trophies in its day and a large number who lived in the western districts were amongst their top players. 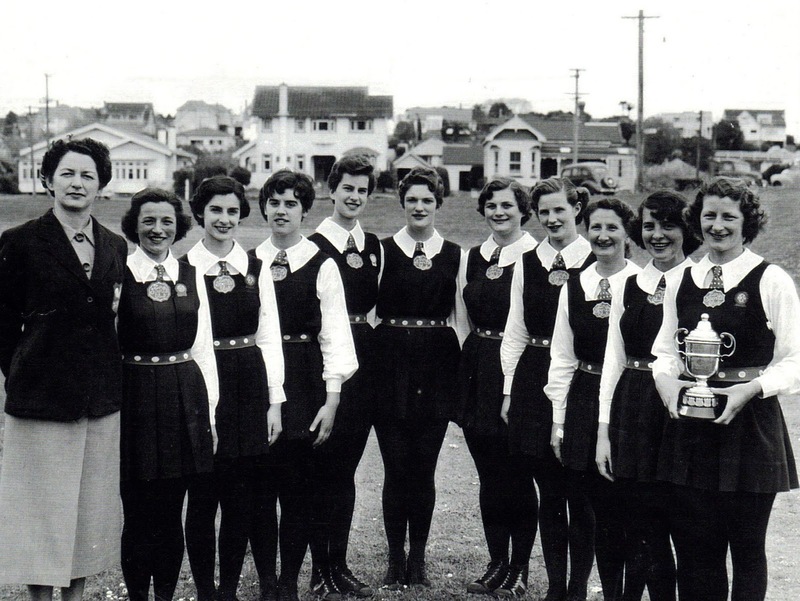 Ref: Zora Basketball Team, winners of the ABA Senior Championships, 1955, L-R: Monica Sullivan (Coach), Alma Raos, Thereza Vujnovich, Frances Vujnovich, Sonia Vodanovich, Sonia Kokich, Pola Kokich, Rose Ravlich, Vera Sunde, Mary Dragicevich, Zita Sunde. West Auckland Research Centre, Auckland Libraries. DGHS Collection. 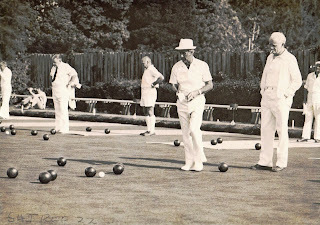 Lawn bowls was a popular sport in the Dalmatian community. Steve Ozich, the owner of the Falls Hotel in Henderson was a founding member of the Henderson Bowling Club in the 1920s. 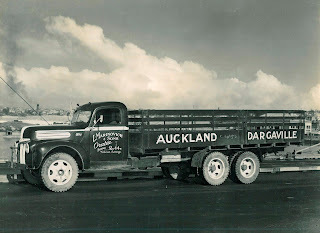 The Oratia Bowling Club had many local fruit growers among its membership. Ref: At the Oratia Bowling Club, 1978, West Auckland Research Centre, Auckland Libraries. DGHS Collection. 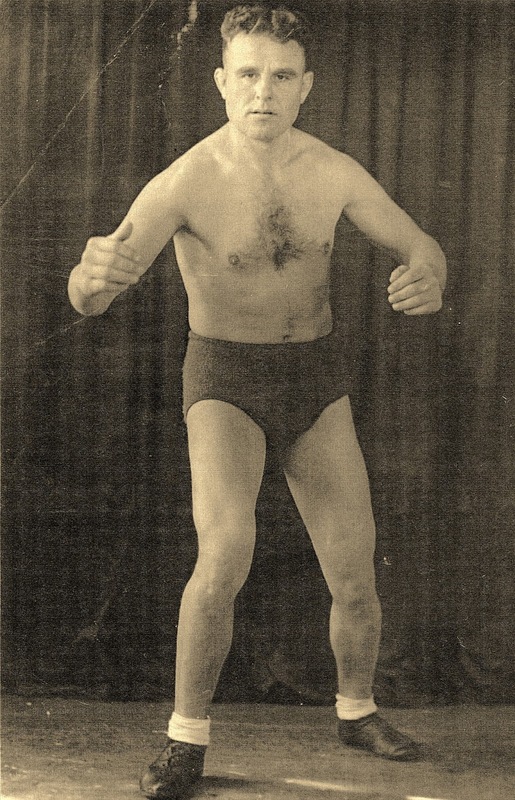 Frank Borich was a successful Auckland wrestler in the 1930s and 1940s. 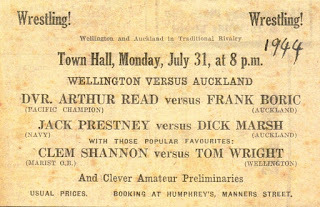 Ref: Notice for a Frank Boric wrestling match, 1944, West Auckland Research Centre, Auckland Libraries. DGHS Collection. 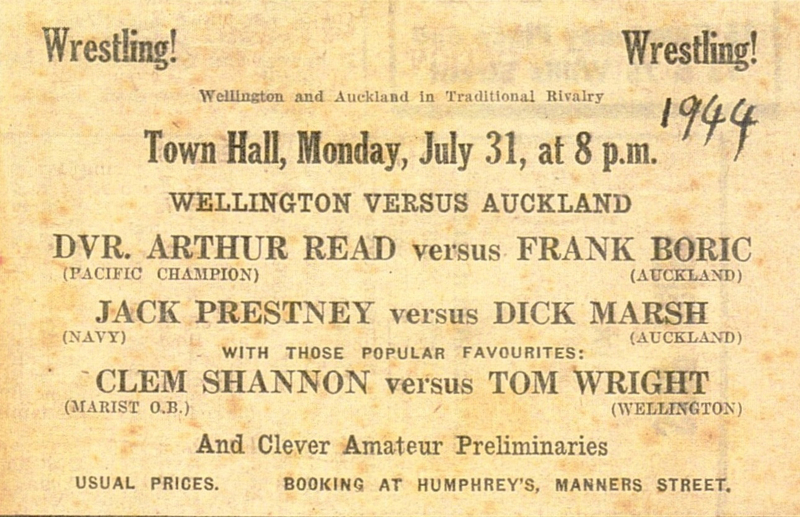 Ref: Frank Boric, mid-1930s, West Auckland Research Centre, Auckland Libraries. DGHS Collection. I've really enjoyed these insights into the Dalmation community and history. 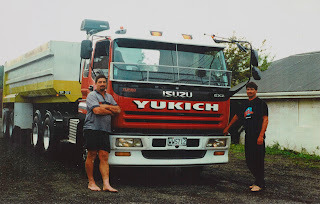 I grew up seeing their names and buying their produce, and it's nice to know a little more. Thanks!